Makeup is a fabulous too to enhance your already-beautiful features. Check out some tips to help you apply makeup to fully enhance your beautiful face. You can easily make your lips look bigger, and you don’t even need to over-line them with a dark lip liner. All you need to do is use a lighter lip color, then dab some gloss in the middle of your pout. You can also dust some highlighter in the middle of your lips too, as well as on the outline to make your lips stand out. Having wide eyes can be beautiful, and there are lots of different things you can do to achieve it a wide-eyed look. Start off by using an eyelash curler to make your lashes appear longer and thicker. A simple trick is to heat it with a hairdryer for a few seconds to make the curl last. Then, you can use a good mascara to enhance them further. A good highlighter can really show off certain points of the face. It can also make you look more glam for a big night out! Dust your favorite highlighter over your cheekbones, nose, and chin. You can even dust over the chest to highlight below the neck. If you’d like to add a little more dimension to the face, you can use a bronzer or a slightly darker foundation to shade in. Try a favorite contouring kit to help me achieve this look. Just make sure you blend in as much as possible for the most natural finish! Having defined brows can help to shape your face further as well. If your brows are unruly or even invisible without makeup, no worries! You can brush through with a brow gel if you just want a slight bit of color, or you can use a pencil to shade them in. Just make sure you mimic hair strokes for the most realistic finish. It isn’t about having the darkest or most prominent brows! Using concealer under the eyes is a great way to hide dark circles and bags, but you should always set it with a good powder. This will make it last and keep your eyes looking bright. You can even use something called the ‘baking method’, which can leave you looking like you have flawless skin when you’re done. I hope you love these beauty and makeup tips and they help you to enhance your features perfectly. 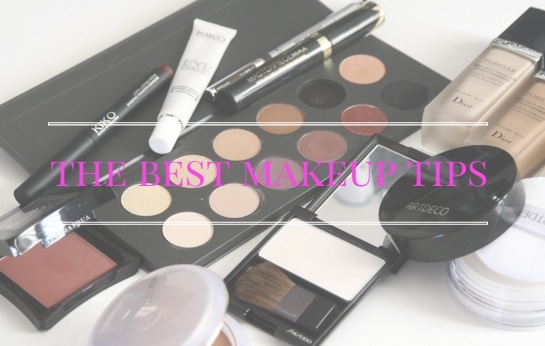 Remember, it isn’t about fitting the most makeup on your face, so use sparingly to get the best results! « Think it. Want it. Get it.